A crisis is, by its nature, unexpected and can come at an organisation from any angle, so preparedness and a willingness to learn from the incident are critical components in protecting its long-term reputation, according to Alex Davies, director in Hanover's health comms practice. Speaking at last month’s inaugural PRWeek PharmaComms conference, Davies explained the mindset and the practical steps organisations should adopt to successfully navigate a crisis. He began by highlighting one bad and two good examples of crisis comms work to a packed room of pharma and healthcare comms professionals. 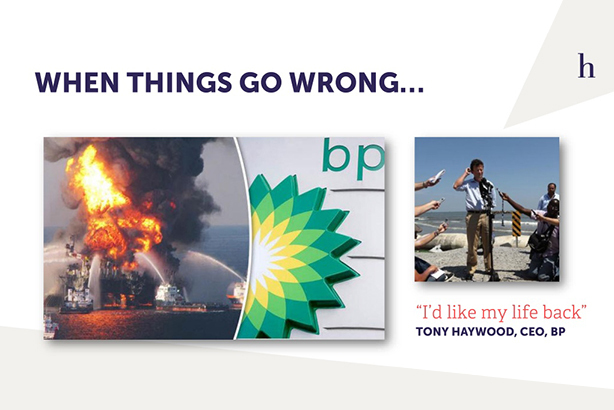 He cited the Deepwater Horizon oil spill in 2010 and, in particular, former BP chief executive Tony Haywood’s response to journalists that "I’d like to get my life back", when asked what he would like to see happen next, as the worst thing he could have said in that situation. 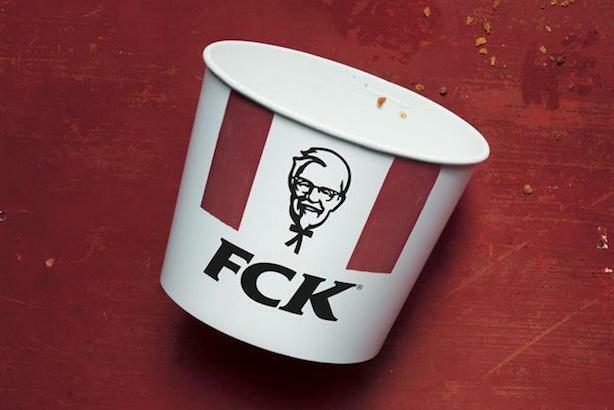 By comparison, Davies said KFC’s handling of a crisis in which it ran out of chicken following a switch to a new supplier was a perfect example of a well-executed apology. 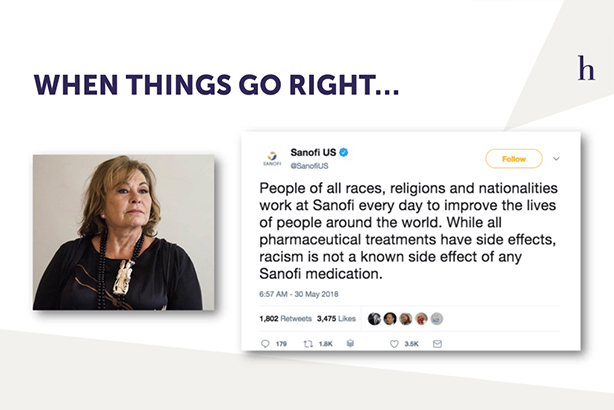 Turning to the pharma industry, Davies pointed to Sanofi and how it responded after the celebrity Roseanne Barr posted a racist tweet and then blamed it on the pharma company’s sedative product, Ambien, which she was taking at the time. Davies said: "When they did their crisis training, how many people in [Sanofi] thought they would be dealing with Roseanne Barr, a sitcom star from the 80s, high on one of their drugs and tweeting racist things and blaming it on the side-effects of the medication. I suspect very few would have thought of that when thinking about their annual crisis preparations." He said the tweet Sanofi put out, 24 hours after Barr blamed Ambien for her actions, was perfect. He said: "It shut the whole situation down… it focused on the fact that the business was taking a proud stance on diversity, and also using humour – we’re not known for humour in this industry." 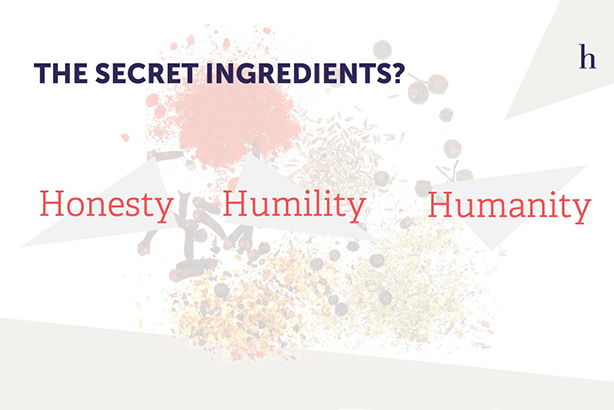 The secret ingredients of KFC and Sanofi’s well-calibrated responses were honesty, humility and humanity, said Davies. Organisations should quickly admit it when they have made a mistake. They should also apologise, he added, while recognising there was often tension between a company’s legal team and its comms team on that point. Finally, companies should speak to the public as people. Davies said of the pharma world: "As an industry, we’re not too great at that, but in a time of crisis it really matters." Anything can go wrong in a pharma business, because of the complexity of the organisations' constituent parts. Davies said: "True crises are the unexpected. It’s your CEO saying something they shouldn’t have at a conference. Or it’s a 1980s celebrity taking your drugs and blaming her racism on side-effects." Pharma companies were particularly vulnerable during a crisis because people hold those organisations to a higher standard than other companies as people’s lives were potentially at stake, he added. "Coupled with that, most people don’t like us – we’re starting from a difficult base and it does put more pressure on us in a time of crisis to communicate in a better way. Davies said it was important to differentiate a genuine crisis from an issue. He gave the example of company having foresight that it was going to have to shut down a manufacturing plant in three weeks’ time, with the loss of hundreds of jobs, as an issue. A crisis, on the other hand, was finding out late on a Friday night that a company’s manufacturing plant was on fire. It was vital that comms professionals help to develop a crisis-management ‘bible’ for their organisations because it would help them know what they are meant to do when there is no time to decide in the middle of an incident. The plan should include emergency numbers for everyone in the organisation that a comms professional might need to call, in the UK and abroad. It should also contain plans for an ‘expedited approval process’. Davies said: "A crisis isn’t a situation where you can take three weeks to get something signed off. How can you get a statement signed off in one hour because that’s all you have, particularly in an era of social?" Comms professionals should be prepared to issue two statements in the first 24 hours following the emergence of the crisis – the first to confirm there has been an incident, that you’re aware of it and are working on the situation, and the second to give more detail. Davies said that, in a crisis, comms people sometimes forget they had a plan already in place and waste valuable time deciding what to do. He added: "When a crisis happens, so few people remember that they prepared for it and that they have a crisis plan. Save it on a shared drive and for god’s sake, open it, because it’s there." Internal and stakeholder comms should not be forgotten during a crisis. Many pharma companies employ more than 250,000 people globally and they should not be forgotten in crisis comms plans. Non-media stakeholders are also important. Citing the example of the fictional factory fire, Davies said the people employed in a region because of the site, such as cleaners or restaurant staff, are also impoirtant to keep on board. He said: "There are a lot of people you won’t think about, but it only takes one of them, aggrieved, to go to the media and spoil all your plans, so do prepare." Returning to the necessity of saying sorry, if appropriate, Davies explained that this was the part where comms people and a company’s legal team were likely to be at loggerheads. He said: "Legal don’t want to say sorry because they think it implies guilt. You want to say sorry because you know it’s the right thing to do. There is no way of always winning that argument." However, Davies said the consequences of not saying sorry at the right moment can have severe implications for a company’s bottom line. The apology, if appropriate, should be included in the second statement during the critical first 24 hours, as part of a more detailed explanation of what happened and what the organisation is doing to address the situation. It is tempting, following a crisis, for comms professionals to simply be thankful that they survived it and to move on, but this is the time to take the opportunity to learn from the incident. A report on the crisis and how it was handled should be prepared so that the organisation can understand how well it performed, what it did not do well and what it would do better next time. Davies concluded: "Did your crisis comms process, which you spent days and even years refining, work? Did anyone even print it? Is there anything you would change?"